A budget friendly place with cozy rooms and an open corridor overlooking the view of the city. SV Suites offers modern accommodation in Bangalore and is within walking distance of Newtown Main road. Rooms are bright and spacious painted in pastel colours. It has modern amenities like free Wi-Fi, power backup, parking facility and dining area. This hotel has kept comfort as the top priority. The rooms have the everyday basics. The presence of CCTV cameras in the premises ensure security of your stay. Guests are assured for a peaceful, pleasant and relaxing stay at this hotel. 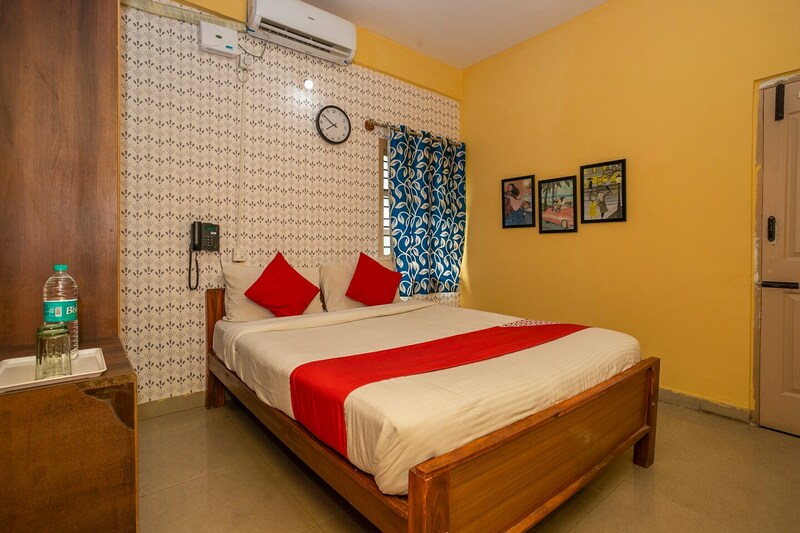 The area is located nearby the local attractions like Sree Surya Narayana Swamy Temple, Anjanadhari Apartments, Iskcon Bangalore, Bangalore Palace, National Gallery Of Modern Art and St. Mary's Basilica.